Good Men, Not Bad Boys! 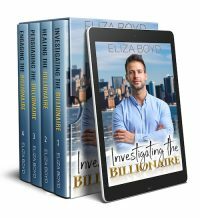 Fall in love with sweet billionaires who have heart with this box set. 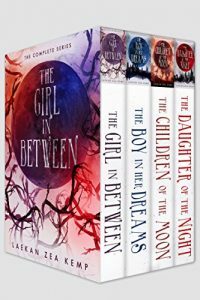 Four swoon-worthy books all in one! Tessa's a journalist assigned to write a story about the illegal activities of local billionaire Beckett Stone. 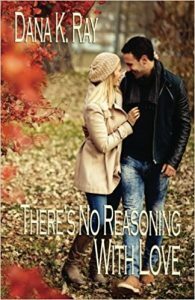 After her identity is mistaken, she finds an in with him only to discover that he seems too good to be doing anything illegal. But her past has shown her that people with that much money don't do good things. Will she uncover the truth and like what she finds out? Hailey and Jared have been divorced for ten years. She's started her own cupcake business, and he's gone on to hit his goal of becoming a millionaire—by a long shot. Now a billionaire, Jared goes to visit his sister only to discover his ex-wife at the house. Not only that, she's sprawled out on the floor, clearly hurt. She's supposed to watch his sister's St. Bernard for the week, but with a bad wrist, she can't possibly wrangle the dog. So he stays and helps her bake cupcakes for future business opportunities. Will the exes find their way back to each other? Alexis dumps her cheating fiancé and goes solo on her honeymoon. 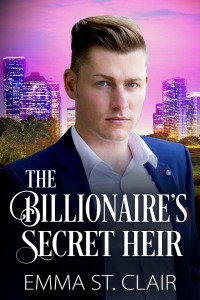 When she arrives, billionaire Maxwell King knocks her over with his car door. After his assistant quits in the middle of the job at the Hawaiian resort, he finds himself being persuaded to allow Alexis take over. That's the favor she wants after she refused his money to pay for what he did to her. With a week together in paradise, will they keep it strictly business or find true love? Nicole's having a terrible week. But nothing makes it worse than losing her job thanks to a man she's never met before. When he gives her a ride home (because of course her car didn't start), he proposes an idea: pretend to be his fiancée so he can get his daughter into the private school she's begging to attend. As a billionaire, he can pay her handsomely for the gig. She desperately needs the money to take care of her father, so she accepts. Will she walk away when the job is done or will they have fallen in love before then? Buy these Hallmark-style standalone billionaire romances and fall in love today! It takes a leap of faith to go from friendship to forever. Violet Chalmers never thought she’d move back to Holiday Junction, but when her Broadway dreams fizzle, going home is the only option. When she runs into an old flame, Liam, and sparks reignite, Vi is convinced the man of her dreams is the one she left behind—and now she has a chance to win him back. 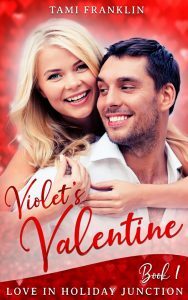 Kade Rivera has carried a torch for Violet since high school, but putting the “boy” in front of “friend” was never an option. Best friends since childhood, they lost touch over the years, but Kade’s never forgotten the girl who stole his heart. And when he sees her again, her bright eyes and sunny smile still make him weak in the knees. Now that Vi is back in town, it could be Kade’s big chance to prove he’s more than the boy next door. The only problem is Vi’s determination to reunite with her first love. When Kade and Vi are roped in to planning the big Sweetheart Ball, can Kade make her see that the one who got away, is the one who was there all along? When Prince Edward of Calais received a note implicating his wife in an affair, he was furious. He’d only been married to Annette for three weeks, but she’d distanced herself from him almost as soon as they returned from their honeymoon. Annette woke up disoriented, not knowing who she was or what happened to her. To make matters worse, someone shot her aunt and might be after her as well. Her relationship with Prince Edward seemed strained at best. After receiving a couple of threatening notes, she didn’t know who she could trust. She knew she was drawn to Edward—they clearly had chemistry—but he kept her at arm’s distance. He was definitely hiding something. Edward and Annette couldn’t fight the pull they had to each other, but Edward had to decide if he could forgive Annette, and she had to determine if she could trust him. 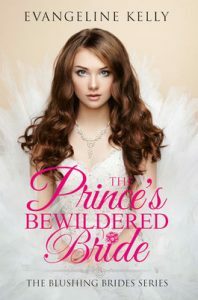 In a world where everything was not as it seemed, will love prevail or will their marriage go down in a ball of flames? In their teens and deeply in love, India Jackson and Vince Mancini are torn apart by a lie concocted by their fathers that separates and takes them down two diverse paths. Years later, India is summoned back to town for her father’s funeral and reunites with Vince. She brings with her the secret of why she was sent away—the product of their love, a son Vince never knew he fathered. Though Vince has always blamed India for leaving him, her return awakens dormant feelings for her, yet simultaneously opens up old wounds. Can Vince overcome the anger and not only get to know his son but rekindle the passion that he and India once had? 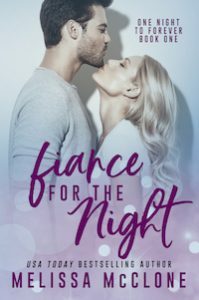 She needs a fiancé—for only one night. Cassandra Daniels' parents want to meet her fiancé. The only problem—he doesn't exist. Cassandra could tell the truth, but she's tired of disappointing her family. Now, she must find a handsome, respectable-looking guy to be her fake fiancé for one night. Troy McKnight can't believe a gorgeous blonde wants to pretend to be engaged for the night. He's not the type to go along with crazy schemes and drama, yet he can't deny her pull and agrees to her charade. What's the worst thing that can happen? Turns out Cassandra's father is a powerful venture capitalist who could make or break Troy's career, so they continue the ruse. But as their fake engagement spirals, their attempts to stop the madness fail. Troy wants to spend more time with Cassandra, but she fears losing her heart…to him. The charade must end, even if she wishes her fiancé for the night could be her perfect husband for life. She had a strict upbringing. He was in a motorcycle club. It wasn’t enough to keep them apart. 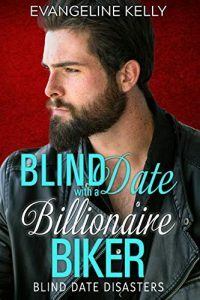 When Tirzah's soon-to-be-fiancé left her in a perilous situation, Dex rode up on a Harley like a fierce hero, saving her from a near-assault. Once she climbed on the back of his bike, everything shifted. They were from two different worlds, but God had plans neither of them counted on. Aubrye thought traveling through France and Italy as part of a guided tour would be a stress-free way to see the important sights and make some new friends. However, as they depart Paris and begin the second part of the tour, Aubrye is anything but calm. Her boyfriend Greg and she are having their biggest disagreements ever, differences in their personalities amplified by the traveling conditions. Her trip roommate and cousin Quinn may be having her own relationship troubles. And back home, Aubrye's family is facing a life-altering decision. 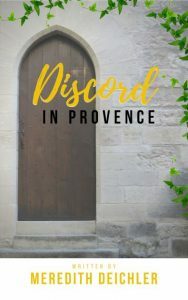 As the tour group heads down to a simpler pace of life in southern France, Aubrye fights to find peace among the worries tearing at her but fears this trip will be a breaking point. He needed an heir. She wanted her baby to have a father. Neither planned to fall in love. Beckett Van de Kamp is poised to officially take the reins of the family business–until his aging father's request for him to have an heir becomes a requirement. When he discovers that an old girlfriend had his baby before she died, Beckett sees this as a perfect business transaction. But when Becka and her Aunt Madeline enter his life, he realizes that it might not be so simple to keep his heart out of it. When her sister is killed in a car accident, Madeline Lott goes from being her niece Becka's paid nanny to her primary caregiver. She is left struggling to pay the bills and needs to provide evidence to the court that she is a suitable guardian for Becka. Discovering that billionaire Beckett Van de Kamp is Becka's father seems to be the answer to her financial crisis, but Madi wants more. She finds herself falling hard for Beckett as his reserved demeanor begins to dissolve. What started as a business matter moves to be a matter of the heart. But when Beckett and Madi are rocked by an event neither expected, will it break apart what they have built together? Will a new job spell the end of her relationship? With her closest cousin Aubrye as a roommate and her long-term boyfriend Connor as a fellow traveler, Quinn should be looking forward to a relaxing vacation, their tour guides taking care of all of the details of the journey. However, a few months before their departure date, Quinn accepted a new position at work, the amazing opportunity requiring a relocation hours away in the fall. Connor’s ties to the family real estate business has shaken the couple, the uncertainties of a long-distance relationship raising difficult questions. Ignoring the effects the separation will have on their relationship has only built a wedge of uncertainty between Quinn and Connor. Arriving in France, their careful avoidance of the issue crumbles. 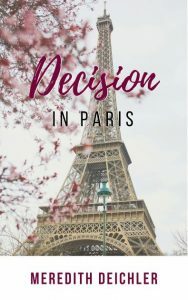 Against the backdrop of the Eiffel Tower, the Louvre Museum, and other Parisian sights, Quinn and Connor must decide if their love is worth fighting for or if this trip will be their last time together.